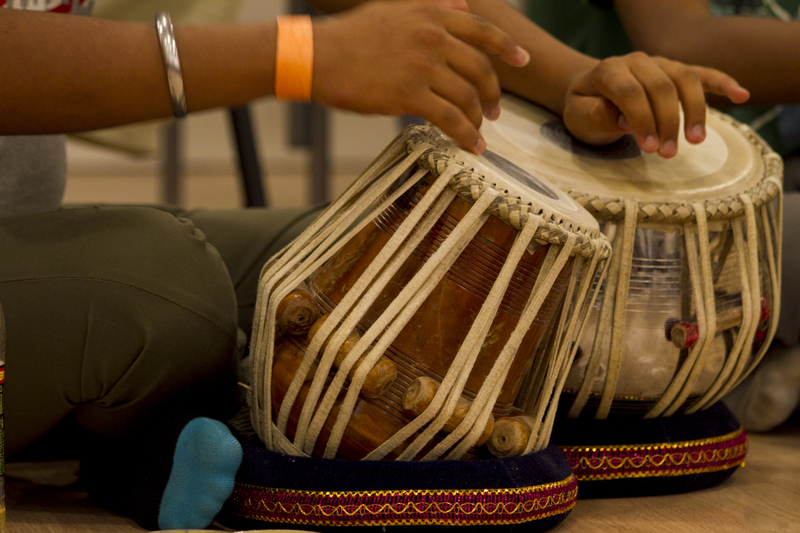 Music India is the International Summer School for members of Samyo, Samyo Too, Sabrang and Tarang. The only school of its kind in the world, Music India’s programme is a unique combination of individual, small group and ensemble training, combined with lectures, workshops and the opportunity watch and participate in public performances – it’s an experience you won’t get anywhere else! Music India features a team of world-class tutors, who combine inspirational coaching with demonstrations and training that help participants get a complete immersion in Indian Music for the duration of the programme. Each evening at Music India’s Summer School features a stunning Indika Festival concert or performance by visiting tutors and opportunities to interact with tutors and participants of the parallel programme, Dance India. Fully registered members of Samyo, Samyo Too, Sabrang and Tarang are all expected to attend Music India when you have registered and paid your annual membership fees for the ensemble or orchestra. Our organisation is committed to safeguarding children and promoting children’s welfare and expects all staff, trustees, volunteers and visitors to share this commitment. For more details on or to request a copy of Milapfest’s Safeguarding and Child Protection Policy please contact Aditi Sen, Arts School Coordinator on artschool@milapfest.com or 0151 291 3649/07960494986.